Here's a quick breakdown as I watch the new trailer for The Dark Knight Rises. I hope no one considers these spoilers but if you aren't going to watch the new trailer then probably best to give this post a miss! 1. 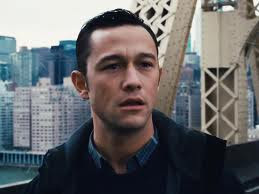 Joseph Gordon-Levitt is good at staring into the distance. That's a mighty fine stare he has. 2. 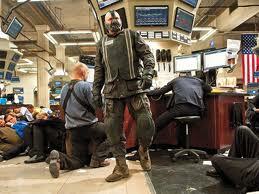 Why the hell didn't I make sure I saw that Bane and plane prologue in an IMAX cinema? 3. What's going to happen to those schoolkids? Are they on or near one of those exploding bridges? Is this going to get all like that two ferry situation with The Joker? 4. 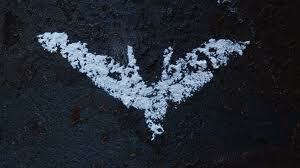 Are we going to witness a Gotham revolution? 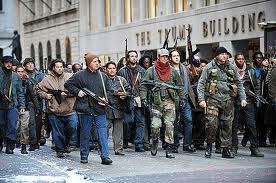 Are the ordinary people of Gotham going to rise up and overthrow the bankers of Wall Street? Will Batman realise that we should be pissed off at the greedy bastards and join Bane? That would be nice and subversive. 5. What exactly is Batman angry about? 6. I'm guessing they won't kill Batman but seriously, wouldn't that be the BEST ending EVER!? 7. These riot scenes are looking like London last Summer. But there were less guns here and the police wear brighter clothes. 8. Am I the only one who isn't a fan of the flying Bat thing (and is it still called the Batwing)? 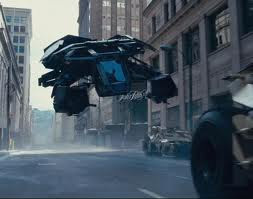 To be honest, I know the vehicles in this trilogy are supposed to be more realistic or military-like but does anyone else miss Keaton and West's Batmobiles? 9. 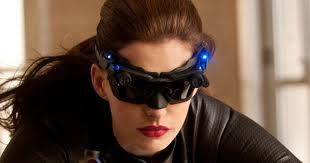 How come there was only about four shots of Catwoman in this whole trailer? 10. Would it make me a bad husband to go and see this on opening night which is also the night before my wedding? Otherwise I've got to wait until I get back from honeymoon! Please help! #6, I would see them killing Batman as being quite dark, but I don't hope so. Fun thoughts on the trailer. I was surprised they launched a 4th one! Oh man imagine it! Imagine the shock, the silence as the credits roll! People would be gobsmacked! Thanks! Unfortunately we aren't going to be with each other the night before the wedding. So maybe that gives me the perfect excuse! I tried so hard to look away from these trailers. I FAILED!! Luckily, I still don't know what's it all about. It is giving quite a lot away now I think so I might have to stop watching anymore marketing now! I will quite happily see him staring into the distance. Moreso if the distance includes me. Epic is the only word I can use to describe this trailer. haha yeah he does look good doing some staring! Hmm yeah I just got to hope I can get tickets for the first night. Probably should get on that! Am I the only one still not sold on the tumbler then? Now that Prometheus is out the way I can't wait for this film. Christopher Nolan will deliver the goods! I know it! Yeah it's bound to be head and shoulders above any other superhero/comic book film. Ahah, ONLY four shots of Catwoman, that's too many! I mean where is Marion Cotillard?? Nice post Pete, glad we're both super excited for this one! I understand Ruth! I would just love to see the look on audiences faces if Nolan dared to do it! Yeah I was going to mention the lack of Marion Cotillard. Strange! You should not see this the night before your wedding. Let the anticipation die down and then there's no chance you can be disappointed. Excellent advice Max! I suspect this is what will end up happening unless I can find somewhere to watch it on honeymoon!